Those without the time to plan or shop for their daily dinners have found a friend in the $1.5 billion meal kit industry. Massive boxes of ingredients with step-by-step instructions help both the busy and the inexperienced get home-cooked food on the table every night. But can these companies also rescue their Thanksgiving, the biggest eating day of the entire year? The stakes are high. We’ll consume 45 million turkeys nationwide on Nov. 24 -- meaning nearly as many cooks will worry they’ll ruin the main attraction. It’s a holiday that revolves around a feast and the once-a-year chance to please far-flung family and friends. Meal kits take on some of the hassle -- the shopping and the schlepping -- and a big share of the heat if key details aren’t right. Entrepreneur reached out to a range of meal-kit companies for how they’re approaching Thanksgiving. For many, the holiday is another chance to get into customers' kitchens and even create new product lines. For most, getting special ingredients sourced and delivered on time for thousands is just about as difficult as resisting a second helping of mashed potatoes. Here are some of the factors companies are taking into account to cash in on this major holiday. FreshDirect, a service which delivers groceries in addition to meal kits, has been shipping Thanksgiving dinners since 2005. Over the years, FreshDirect has adapted its offerings, providing fewer choices so that customers who need help with meal planning don’t feel overwhelmed. It now delivers on Mondays to accommodate early celebrations as well as on Thursday itself, a risky feat that the company pulled off last year. “We start planning for Thanksgiving the day after Thanksgiving,” Crawford says. And although the company starts coordinating with vendors by June or July, this year, the election and unseasonably warm weather have likely distracted many customers from Thanksgiving planning, he explains. More than a decade of offering holiday meals has given FreshDirect a sense of what customers tend to order at the 11th hour so they have extra, say, dinner rolls on hand. To accommodate the increased demand, November brings 10- to 12-hour days for corporate team members. PeachDish President Judith Winfrey also noted via email that Thanksgiving requires a change in production schedule. The Atlanta-based meal-kit company has an on-call staff scheduled for Thanksgiving Day to provide last-minute assistance to the thousands of customers who will be serving its meals. Pricing also comes into play. Family-size Thanksgiving meal kits cost significantly more than weeknight dinners for two. For a normal week, subscription-based meal-kit service Martha & Marley Spoon builds recipes that cost a fixed amount relative to how much subscribers pay. But for its Thanksgiving offering, its staff started with the knowledge that each order would feed eight to 10 people. They had to decide on and source each component of the meal -- free-range turkeys from New Jersey, for example -- then build the financial model and determine an appropriate price. Then there was the logistical hurdle. All of those frozen turkeys from Jersey have to make it to their final destinations at the optimal temperature. Martha & Marley Spoon conducted several shipping tests to see how long it would take and what shape they would be in upon arrival. 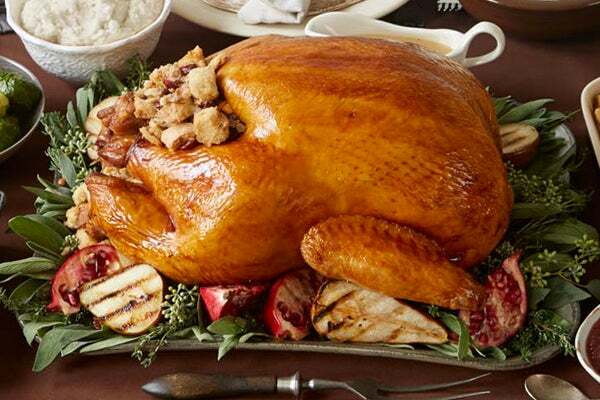 The company shipped a bunch of turkeys to a distribution facility in Tracy, Calif., even before all of the orders rolled in, so that they would be out on the West Coast in time for the big day. All of the goods had to be secured in advance of the order deadline, despite the possibility of waste. More dimensions came into focus as the preparation continued: marketing, PR, Facebook Live, morning shows, Groupon. Not to mention that while all of this is going on, the company has to keep its primary line of production running to make sure it fulfills its regular weekly orders in addition to the Thanksgiving feasts. Dubreuil explains that Thanksgiving has been both a challenge and a learning opportunity for the company. Marley Spoon had the advantage of a partnership with Martha Stewart, whom Dubreuil calls “the Queen of Thanksgiving,” to lend some credibility to its new service. All of the recipes are inspired by what Stewart cooks every Thanksgiving, according to Martha & Marley Spoon Culinary Director Jennifer Aaronson. Think stuffing with dried cherries, cream cheese mashed potatoes and brown butter apple pie. Other solutions look beyond the full meal itself. 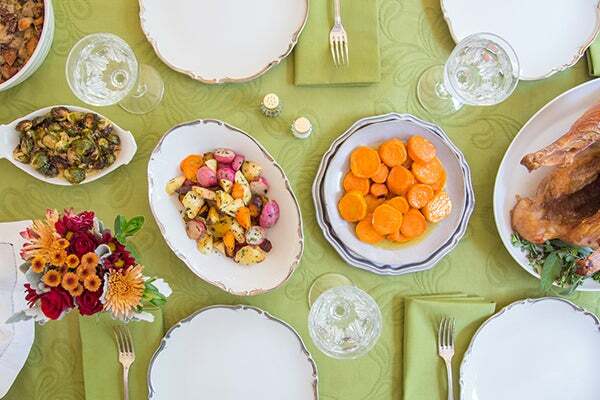 Last month, Plated launched a new level of flexibility for customers, just in time for Thanksgiving. Now, customers can change the number of servings they receive in a given week, whether they’re having extra people over for a dinner party or just cooking for two. Customers might order multiple servings of the stuffed squash and bring it to a Thanksgiving potluck. The new flexibility also allows customers to have their weekly box shipped to wherever they’re spending the holiday. To reduce waste, Plated uses data and predictive analytics to anticipate the number of orders, and customers must order six days in advance, according to head chef and culinary co-founder Elana Karp. Home Chef discovered the market for a “Thanksgiving for two” concept from comments on its Facebook page. 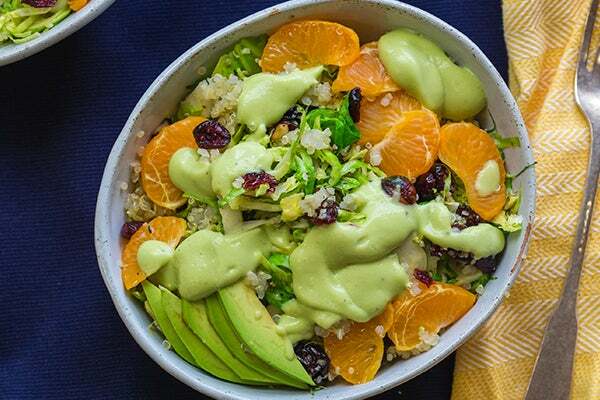 In the past, it’s also made tweaks to weeknight recipes that customers have deemed “perfect for date night” and offered a fancier version for Valentine’s Day. More recently, Home Chef has already started preparing for Christmas and sent ingredients for an upcoming recipe to customers and recipe testers. They asked if the finished product was worth the price tag they’d planned for it. While meal-kit companies hope to earn a spot at your Thanksgiving table, their goal is to fill your niche needs, not to compete with your family traditions. Aside from the typical fare, companies such as Purple Carrot, Home Chef and Plated have found creative alternatives. 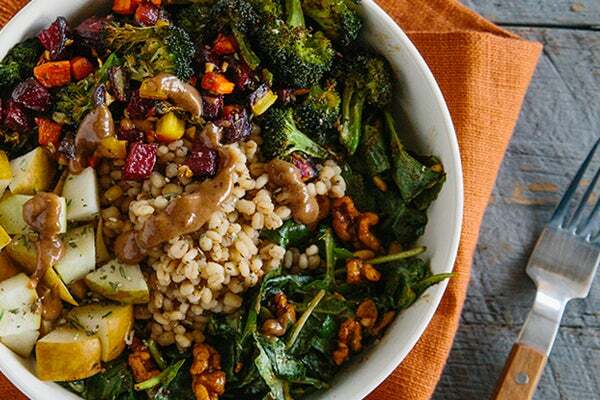 Purple Carrot, a vegan service, has incorporated Brussels sprouts, a common Thanksgiving side dish, into a salad as a lighter option for the week of Nov. 21. A lo mein with soy-glazed mushrooms and bok choy is also on the menu in honor of the Mid-Autumn Festival celebrated in many parts of Asia. 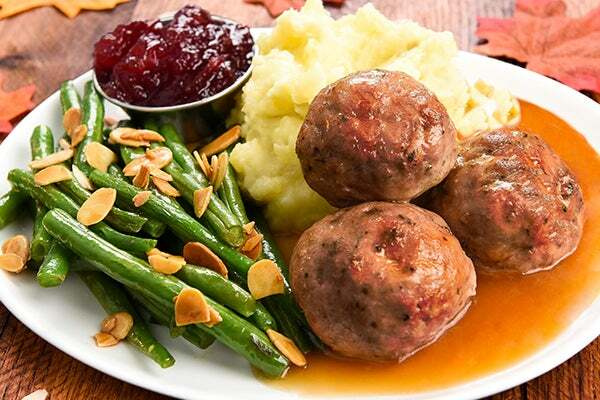 Home Chef markets its weekly offering containing Thanksgiving items as “Friendsgiving” meals and offers turkey meatballs, a dish it has incorporated into weekly menus in the past. The turkey meatball meal kits, although they are comparable to a typical weekly Home Chef order in size, each contain 11 ingredients. One of these is green beans, of which Home Chef will ship more than 15,000 pounds for Thanksgiving this year. Usually, Home Chef meals incorporate fewer than 10 ingredients. Although these extra bits add complexity when sourcing and packaging, Boonman says that the company’s chefs are excited that the holiday gives them an excuse to innovate. Green Chef’s Thanksgiving week offerings were inspired by the company’s chefs wanting to switch things up, company spokesperson Bennett Wickre told Entrepreneur in an email. They envisioned their recipes as a nod to tradition rather than a replacement and didn’t want them to be too traditional, so they based each dish on one of their personal Thanksgiving memories. 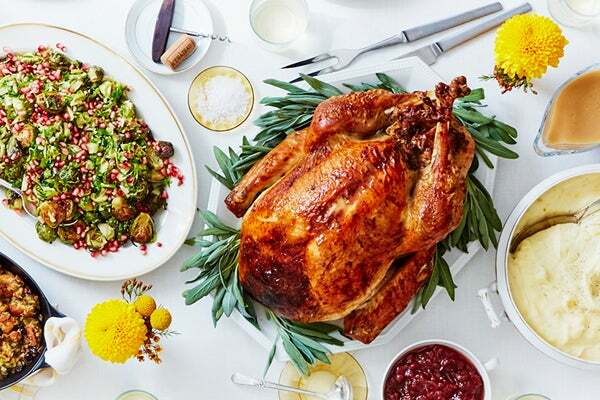 Another service, HelloFresh, does not have a Thanksgiving-themed box, because many customers have their own traditions and family recipes, U.S. CEO Ed Boyes told Entrepreneur via email. However, HelloFresh is keeping customers engaged next week. 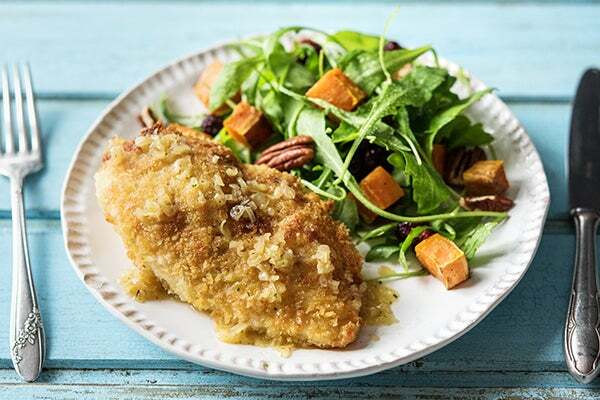 It’s one of many companies (including Blue Apron) that is offering dishes with holiday-inspired ingredients, as well as producing recipe content for their websites. Elana Karp of Plated says that all of the recipes on the company’s menu this week are inspired by her team’s family dishes. 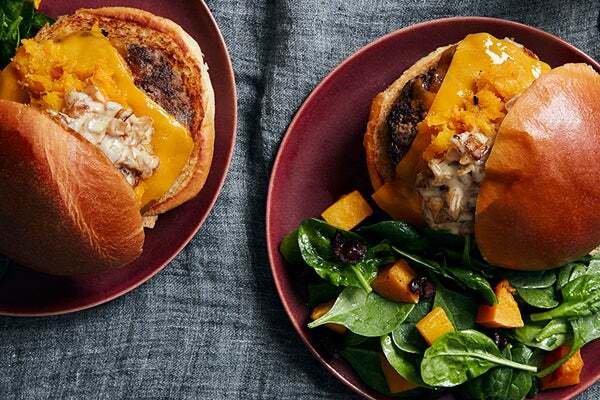 One of the them, pictured above, is a Thanksgiving cheeseburger with caramelized onion aioli with roasted butternut squash. There’s also halved acorn squash filled with cornbread and sausage stuffing. The stuffing is Karp’s grandma’s recipe.